An ESA mission made a flyby of the largest asteroid yet visited by human spacecraft. It took some looking, but I eventually figured out where I’d seen those grooves before. 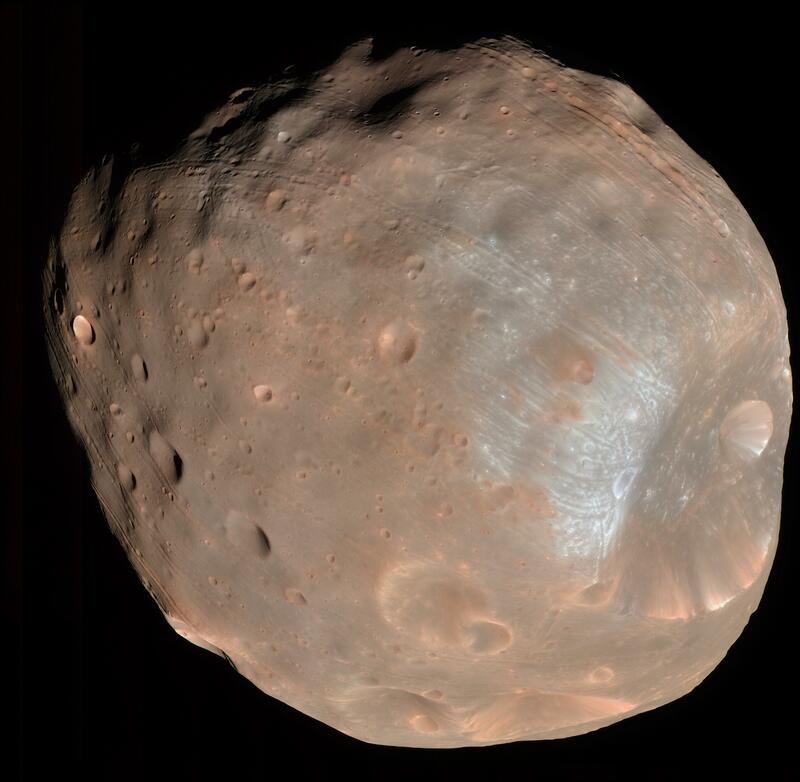 That’s Phobos— one of the moons of Mars. (It’s mostly visible light, if you’re wondering; some near-infrared as well). You can see those same sorts of grooves, which used to be blamed on Stickney Crater, which the big dimple near the bottom right— those are landslides on its crater rim! A 2006 paper mapped them to show the grooves fall into 12 general age groups and hypothesized they could represent scoring from regular deliveries of ejecta from impacts next door. But Lutetia is a wandering asteroid… what would score it with crater chains on a regular basis? The main belt is far too capricious a place to expect such precision. It’s not like the Empire Strikes Back in there.